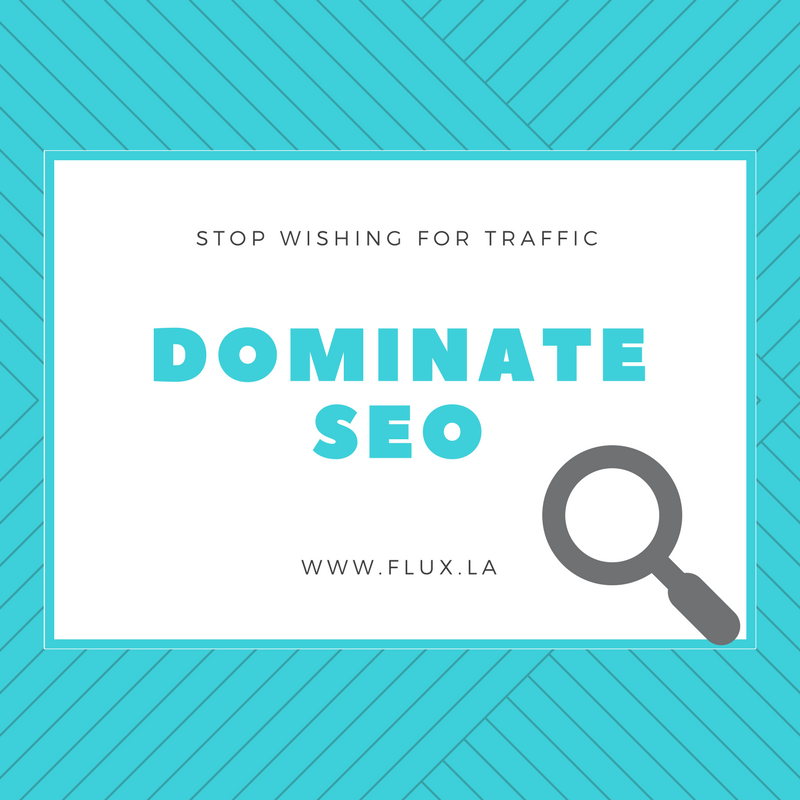 Strong SEO is incredibly important to bringing new visitors to your website. However, it’s a tricky art to master for relatively small companies. Here are 10 tips and tricks typically overseen by businesses that can be worth thousands in the long run. 1 1. Get a Google Plus page. 2 2. Get a Google Places page. 3 3. Check your internal link structure. 5 5. Do competitive research, and don’t be afraid to steal. 6 6. Make a few videos and put them on YouTube. 8 8. Claim your free backlinks. 9 9. Steal backlinks from your competitors. 10 10. Connect with bloggers in your field on social media. 1. Get a Google Plus page. I know what you’re thinking – Google Plus isn’t nearly as popular a social network as Facebook. However, it’s an invaluable asset for SEO. When you connect your personal Google+ page to your company’s website, your face is displayed for your company’s search engine results. Although it’s common to click on the top search result in Google, one with a face next to it becomes much more intriguing to a potential website visitor. Even if your page is ranked lower than you’d like, a friendly face next to it will draw more visitors to your site. Step 2. Go to the “Contributor to” section, and add a link to your website. This tells Google that you write articles for that website, which will allow them to include your photo in related search results. Step 3. Make sure you have a Google+ profile picture – and make sure that it is a photo of your face. Only face pictures are allowed, and Google can tell what is and isn’t a face. Step 5. – Verification. In order to prove to Google that you’re the real owner of your site, you need to put a link to your Google+ profile somewhere on your website. Hint: you should add this to the bottom of all of your pages (ex. “Join us on Google+”). And that’s it! Within a few weeks, you should see your face popping up in search results. 2. Get a Google Places page. Google is increasingly moving towards local search, and most people don’t know how local SEO works, giving you have a huge opportunity. And luckily, this trick works even for sites that generally don’t rank well on search engines. Local results show above most regular results – regardless of how good the actual website is. Take any opportunity you get to get a positive review of your business online. Many of your competitors won’t know about this, and likely won’t have any reviews. Even just 5-6 good reviews should be enough to land you a top spot in search results. Whenever Google pairs your business name with your address, it registers that you’re likely to be found at that address. This is called a citation. The best way to get more of these citations is by signing up for social media accounts such as Yelp and Angie’s List, as well as any other site that allows you to list an address. 3. Check your internal link structure. Backlinks from other sites are a big part of SEO strategy; however, it’s also important to check the links within your own website. Choose a poorly performing page on your website, and drive more links to it from your other pages. Additionally, make sure that the content of each of your pages matches its title and keywords – Google checks for this and pages with content that’s more relevant to the keywords will perform better. Here’s a quick checklist to make sure all of your pages are Google-friendly. Are your main headings in <H1> tags? Are your subheadings in <H2> and <H3> tags? Does the title of your page contain your keywords? Does the main heading on the page contain your keywords? 5. Do competitive research, and don’t be afraid to steal. A common mistake that new businesses make is attempt to do everything from scratch. There’s no need to reinvent the wheel when you can take some ideas from your top competitors. Of course, copying the content and text from a competitor is a bad idea, and will likely result in Google penalizing your site in its results. However, the structure of the site (headlines, word count, links, etc.) should inspire you. Although this isn’t a long-term strategy, it’s a great way for new businesses to generate more traffic to their pages. 6. Make a few videos and put them on YouTube. In addition to favoring local businesses, Google also loves to rank YouTube videos highly. So even if your website on its own isn’t showing up on the front page of search results, a YouTube video might. In order to give your video the best odds of ranking well on Google, make sure it has as many views, likes, and comments as you can get. The title should match or at least be related to the keywords you want to rank for. Additionally, it should be of a decent length – aim for at least five minutes. Such a video can be entertaining, useful, or just interesting; but most importantly, it should be something people are likely to share. One great way to get a lot of backlinks to your site is just making your site incredibly informative, and there are few things as informative as a how-to guide. And the more informative and authoritative your guides sound, the more likely people are to visit your site and read them. If you write useful guides, people will be more likely to share them, especially if they’re something people won’t be able to find elsewhere. 8. Claim your free backlinks. SoundCloud and various other web platforms allow you to link to your website from a profile, and yes, these do count toward your backlinks. Not as much as, say, a link from Harvard or Sony, but any little bit counts. Sometimes a few little backlinks like that can push you up a page on Google’s search results. You can find a list of 17 platforms that allow you to link to your website here. 9. Steal backlinks from your competitors. Using Open Site Explorer, you can check where your competitors are getting backlinks, and try to get those website owners to include links to your site as well. A little interest often goes a long way in these situations; interact with a website owner by commenting on some of their content, then asking for a link. Although you may be rejected a few times before getting a positive response, it’s important to not get discouraged. 10. Connect with bloggers in your field on social media. Following the previous tip, reach out to bloggers who would find your product or website relevant and interesting to their work. Introduce yourself, and show some interest in their work before asking for anything in return. Then you can ask them to write about you, which would be a huge asset to your business. This tip will likely be the most time-consuming from this list, but is worthwhile in the long run. © Flux.LA. All rights reserved.